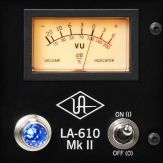 This article explains how to monitor a mono Unison input through stereo effects in Console, all with no noticeable latency. 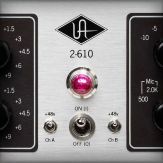 Many common input sources are monophonic - such as a microphone, guitar, or bass - however many UAD plug-ins have stereo features. 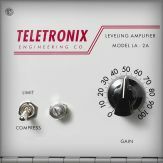 Sometimes you may want to monitor your mono input through a stereo reverb, or maybe you want to get the full effect of the stereo mics in a guitar amp plug-in like the Fender '55 Tweed Deluxe or Marshall Plexi Super Lead 1959. For this example, we'll explain how to monitor a mono Unison guitar input through the Fender '55 Tweed Deluxe plug-in in stereo so that the mics in the plug-in can be panned. 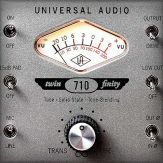 This method gives you true stereo output from the amp plug-in while maintaining Unison impedance interactions on the input. 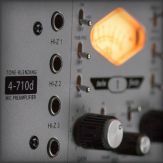 The concepts covered in this article can be applied to any mono input source and any stereo UAD plug-in. 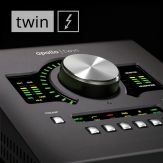 With this workflow, two amp plug-in instances are used in Console: One in the Unison insert to capture impedance interactions, and one on a stereo AUX channel so the mic pan controls can be adjusted. 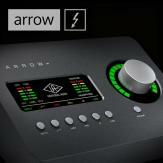 To get started, first plug your guitar into the Hi-Z instrument input on the front panel of Apollo. The input is automatically switched to use the Hi-Z jack. 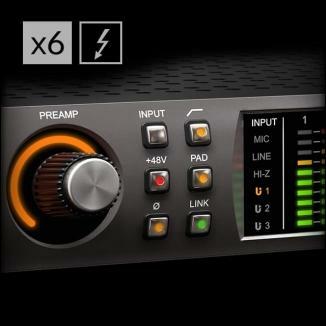 In Console, place the amp plug-in into the Hi-Z input’s dedicated Unison insert slot. 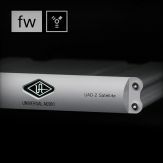 The Hi-Z input is routed into the amp with Unison impedance and bidirectional control interactions. 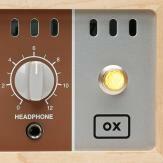 Within the Fender Tweed plug-in interface, set the amp’s ON/OFF toggle switch to the OFF position. 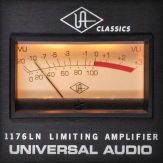 The amp’s red power lamp turns off, but the impedance interaction remains active. Next, prepare an AUX channel by muting (or lowering to zero) the SEND to AUX controls for all inputs except the Hi-Z input. 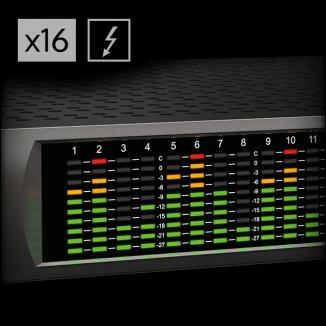 Route the Hi-Z input to the AUX by setting the SEND control in the Hi-Z channel to maximum. The dry signal with impedance interactions is routed to the AUX channel for further processing. In this step, the key is to make sure the Hi-Z input is the only signal being sent to the selected AUX channel. Switch the Hi-Z input to MUTE. 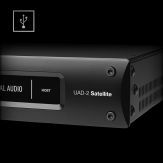 The input is no longer routed to the monitor outputs, preventing duplicate signals. 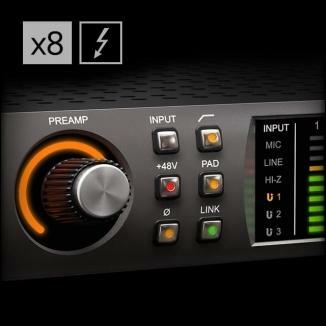 Next, place the second instance of the amp plug-in into an insert on the AUX channel. The signal is not yet heard, because the Hi-Z input is muted. 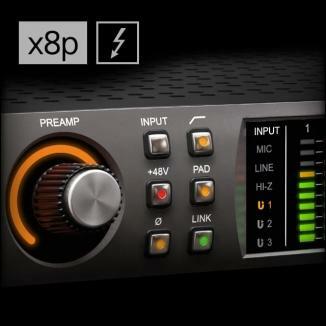 Switch the AUX channel from POST to PRE (i.e., pre-fader) so the muted Hi-Z input is heard via the stereo AUX channel. 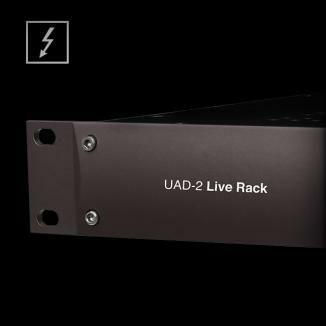 The Hi-Z input can now be monitored in stereo with complete Unison amp processing. 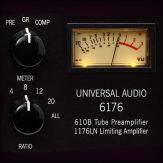 To record complete Unison amp processing in the DAW with this configuration, create a stereo track and set the track to use the AUX channel as it's input source. To record the mono input signal dry with Unison impedance interactions, create a mono audio track in your DAW instead and set the track to use the Hi-Z input as it's input source.